Contact Ramona Brazilian Jiu Jitsu Now! We would like you to come by and tryout a free class. We are confident that our top-notch instruction will provide you with a positive insight to our program. The phrase, “It doesn’t hurt to try” truly has meaning here. 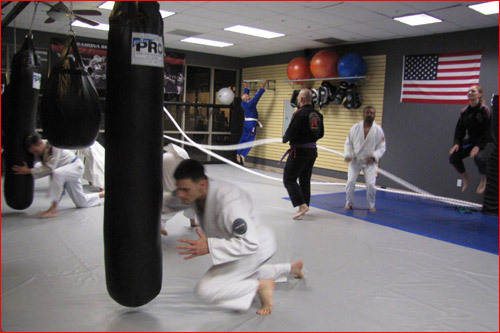 You can come in and try our Brazilian Jiu Jitsu and Stand-Up program, meet other students, and get a feel for our family friendly environment. During your free class you will be able to see if it is a right fit for you. If you decide to stay you will become part of a family and learn a martial art that will positively change your life.